2 Bedroom Semi Detached House For Sale in Rotherham for £105,000. FEATURED IN THE BIG OPEN HOUSE please call for viewing arrangements. 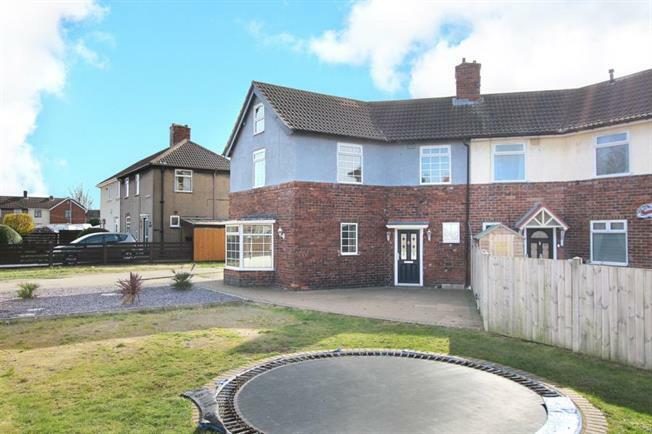 Offered for sale with no chain involved is this spacious two bedroom semi-detached family home. Having a loft room and positioned on an enviable corner plot having much larger than average gardens. The property has a gated driveway. Of interest to a varied purchaser the property briefly comprises of entrance hall. Spacious breakfast kitchen having an extensive range of wall and base units including integrated appliances. Lounge having bay window and feature fire place. First floor landing having stairs rising to loft room. Two bedrooms, master having walk in wardrobe. Family bathroom having a four piece suite including separate shower cubicle. Outside positioned on a larger than average corner plot mainly laid to lawn, patio, decorative pebbles and driveway. Book Your Viewing Today !!! !